Today, we choose to live without fear, trusting in God to Lead us! This winter we’ve taken to heart the message of “Fear Not!” It is transforming us both individually and as a community gathered as North Seattle Friends Church. 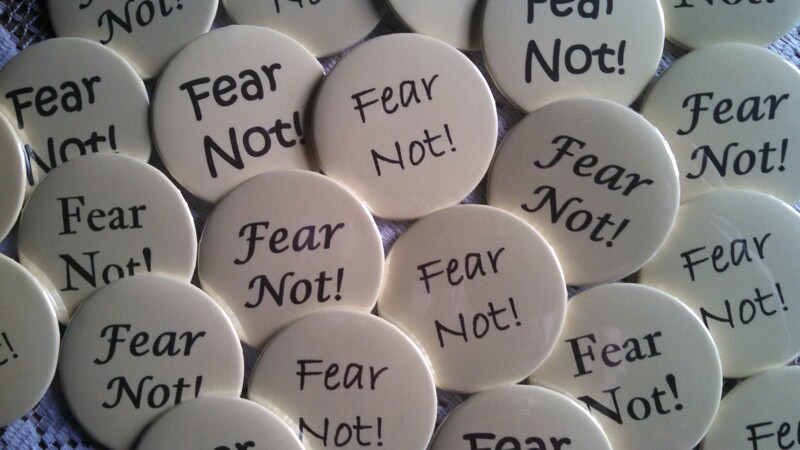 We ended up making “Fear Not!” buttons to remind ourselves and others that we don’t need to live afraid. The stories of lives being changed by this message are returning to us with powerful reminders that this message is true. We can choose to live without fear. We can choose to trust God with all aspects of our lives… our spiritual lives, yes, but also our home and family lives, our work lives, our business dealings, our neighborhoods, our nation, our world… everything! Fear Not!